EAPL operates a non-tidal ‘wet’ berth dedicated to Ship Repair to serve the local operators and to respond to vessels in the English Channel and North Sea. 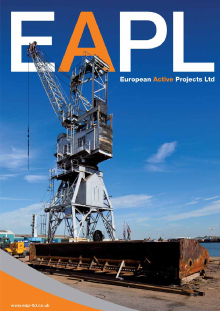 Our Quay Facility also has own Shore Crane, Shore Power and Freshwater Since 2005 EAPL has proven to be a reliable partner for many important firms in the marine sector across the UK and throughout Europe offering the following services. From small repairs to large project managed contracts, our multi skilled management team can offer advice to help rectify the situation, procure and supply materials and send one of our rapid response engineering teams to meet a vessel in order to effect repairs. We pride ourselves on providing a safe, responsive, reliable and reputable service at very competitive prices to the delight and satisfaction of all our clients.